One of the greatest things about being a young entrepreneur is getting to learn from other, more seasoned entrepreneurs. One such fellow entrepreneur I know is Teresa Garland, Managing Partner at Intelligender, who always seems to know how to leave a lasting impression. 1. Yes, what you wear matters. Save the provocative for your evening out — in business, stick with a conservative look that is accepted universally as appropriate (and you know exactly what that is!). Your style is a signal that you can be trusted to behave and stay focused — make sure what you wear reflects that. That doesn’t mean boring — be fashionable but appropriate. Adorn a colorful scarf thrown over your shoulder, or a bright purse or off-setting color on your heels (and yes, you’ve got to wear heels). Wear jewelry and accessories that give you confidence while presenting a discreet flair. The key thing to dressing for success early on is looking like you’ve already achieved success – and that is the first step toward a positive lasting impression. 2. Never, ever be late. Promptness demonstrates seriousness and lateness shows contempt — always, always run on time, which means factoring in the unexpected, from traffic to construction at the parking garage or delays in public transportation. Tardiness can throw off the entire karma of a meeting and nobody wins. So if you need to leave early enough that you find yourself sitting in a parking lot for 15 minutes prior, do it. If you have an uncontrollable event that will require a postponement or reschedule, contact your appointment as far in advance as possible so they can make use of their time in place of meeting with you. When you do reschedule, give the new day and time lots of thought to guarantee you can be there. 3. Google but don’t gawk-gle. Know the highlights of the person’s life or career you are meeting with, but stop there. Don’t worry about their Twitter feeds about date night or taco lunches. If their education or previous jobs give you a shared connection, mention it as an ice-breaker. But the most important thing to remember is that you are there to promote yourself and your offerings, not to remind them of theirs. And, if you already know something that they think you don’t, let them share it and don’t cut them off. Being generous goes both ways — share and listen, but never embarrass. 4. Listen before you ask. In first meetings, we often spend so much time thinking about what we are going to ask next that we don’t even hear that we already got the answer. But in a business setting, showing genuine interest in the other person is key to establishing a quick and relaxed conversation. Whenever possible, follow up with questions based on what they just answered — that gives you a nice transition and demonstrates you are more focused on them than the list in your head. Even if, in those first moments, it is clear you have lost the “instant chemistry” test, hold your head high and keep going. For all you know, you may remind someone inadvertently of their ex-sister-in-law (or worse, ex-wife! ), but if you conduct yourself with integrity and pride, that will quickly pass. Always stay true to your gut instincts. The female leaders who have achieved great success have stuck with those feelings, even when everyone around them either openly or indirectly doubted or criticized them. If you have a passion or vision (no matter how general or specific), just walk towards it. Keep it in front of you at all times. And try this mantra: If you think it and speak it, then you will create it. What do you think — agree or disagree? Have these tips served you in an important meeting recently? 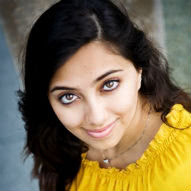 Shama Kabani is the award winning CEO of The Marketing Zen Group, a full service online marketing and digital PR firm. She is also the author of the bestseller The Zen of Social Media Marketing, and an international speaker. Follow her @shama.